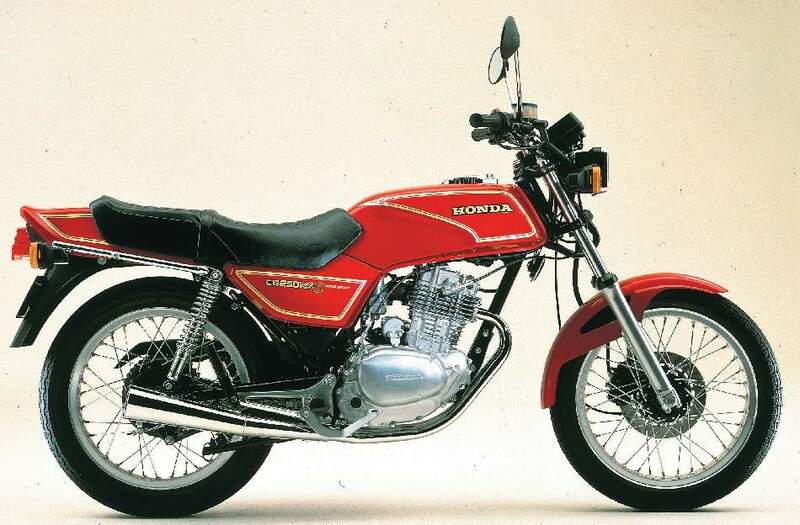 Every now and then Honda hit it right on the button, producing a bike that is remarkable for its blend of abilities. 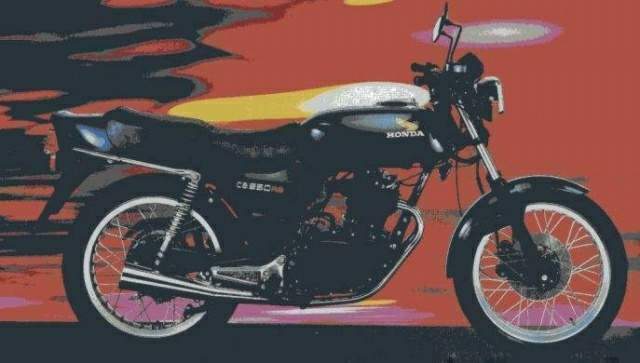 In the same way that the 400/4 of the '70s was a tasteful, restrained balance of qualities, the CB250RS is the demon the '80s. It brakes superbly, returns around 60m pg and seems to respond well to being thrashed to within an inch of its bottom end. Maintenance is usually minimal if there is any at all, but with ignition that never needs touching, an automatic camchain adjuster and valves that keep to themselves you can simply get on and ride it hard. In keeping with its restrained looks, with an absence of twidly bits, the suspension can only be adjusted for preload on the rear two shocks, but handling is none the less pin-sharp. Naturally it is not a favourite for intercontinental cruising, although it has been done, but is instead a hot-shot for town riders and roundabout specialists. It's about as close as Honda have got to a four-stroke LC. 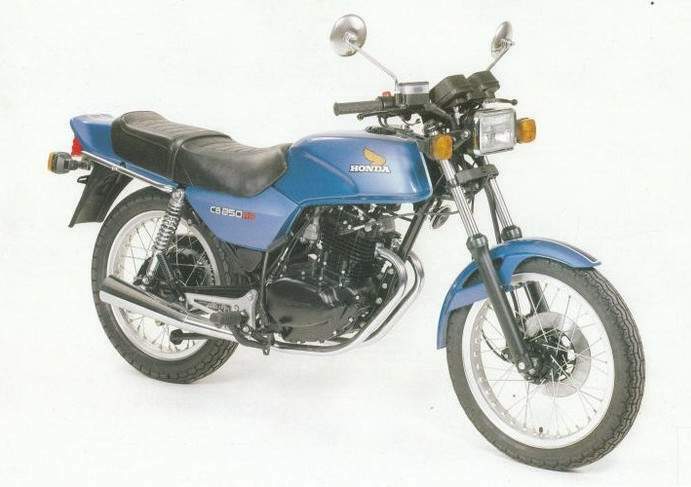 based on the earlier XL250, but had CDI ignition, twin exhaust ports, a balance shaft and more power and torque as well as the original four valves and 74mm x 57.8mm bore and stroke. The CB250RS had all this plus a black paint job, bigger accelerator - pumped carb, bigger valves and ports, higher compression ratio and a claimed 26bhp at 8500rpm. Everything was restrained, with only black, red or a metallic blue to choose from and very few stripes. The CBX250RS was even more of a flop since you could still buy RSs at the same time for much less money. The RS was, and is, the one to have. As you have read, the RS thrives on heartless owners, but don't take it for granted if you are buying one. To make matters worse the front sprocket has only 14 teeth due to rapidly spinning gearboxes so chain wear is a major problem. It may only be a 250cc, but it will eat a chain every 6-8000 miles even if you look after and use top-quality chains and lube. You will have to replace chain and both sprockets often and lube them maybe every day. You can get a % x %in conversion, but there is no room for an O-ring version. Look at the oil level as often as you look at the chain and alt should be well. The engines only hold 1.7 liters of oil and filtering is minimal so change the oil every 1000 miles if you don't want the camshaft and head to become one piece. Use top-quality oil, and top it up if necessary between changes — it will be necessary if you ride them hard, which appears to be the only way they get ridden. listen for the balancer shaft chain, since if it is slack will make the bike vibrate badly. It is under the right-hand engine cover, but approach with caution since you can damage a lug belonging to the automatic decompressor. Finally, check for loose spokes, since people tend to forget that they need maintenance like everything else.